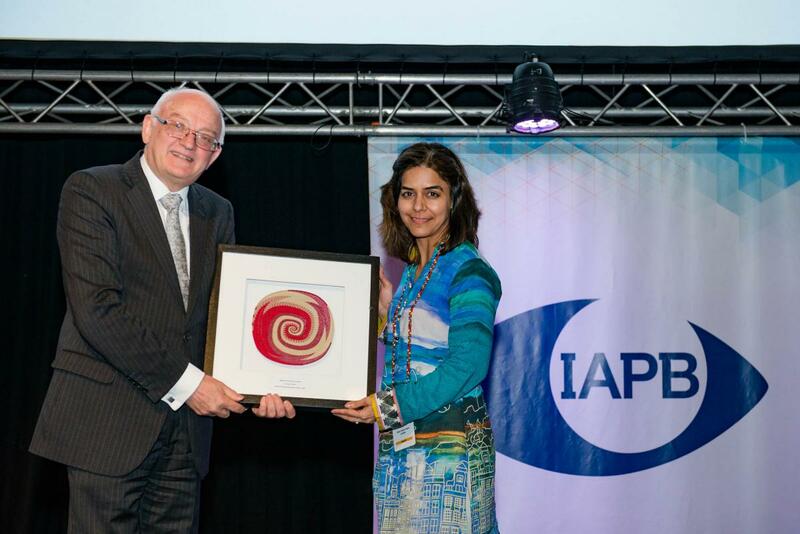 IAPB’s 10th General Assembly, the premier global event discussing clinical and public health issues related to blindness and vision impairment, honoured key eye care professionals and organisations for their contributions to blindness prevention. 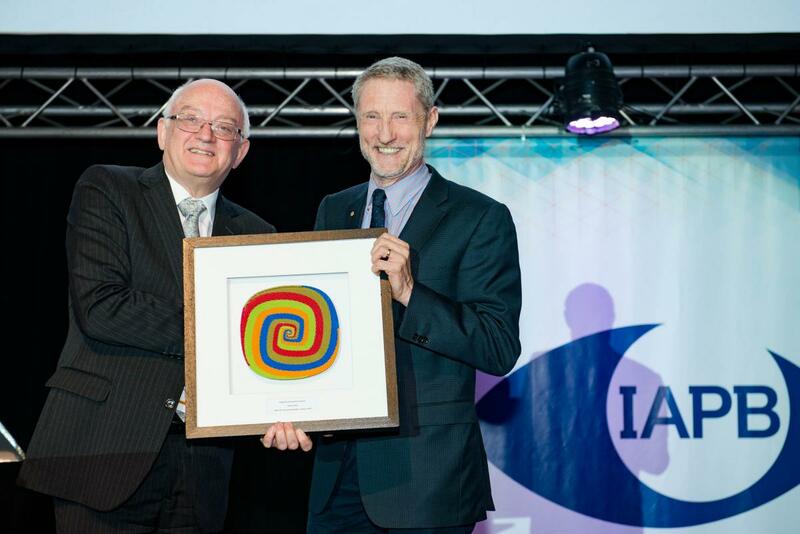 Immediate Release: The late Prof Brien Holden, founder of the Brien Holden Vision Institute and an extraordinary champion for eye health and optometry services worldwide, was posthumously given the IAPB ‘Lifetime Achievement’ award at a glittering ceremony to mark the opening of the IAPB 10th General Assembly at the Durban International Convention Centre in South Africa. 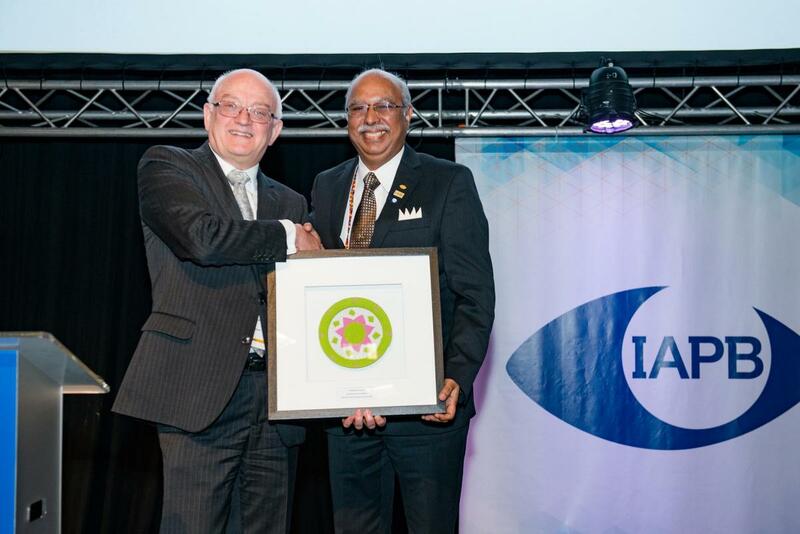 The International Agency for the Prevention of Blindness (IAPB) along with our local hosts the Brien Holden Vision Institute, is hosting over 1000 delegates from across the world at its 10th General Assembly in Durban. The Opening Ceremony, under the auspices of the President of Liberia, Dr Ellen Johnson Sirleaf and the Minister of Health, South Africa, Dr Aaron Motsoaledi, saw IAPB President Mr Bob McMullan give away awards and honours to a handful of individuals and organisations for their contributions to eye health and blindness prevention. 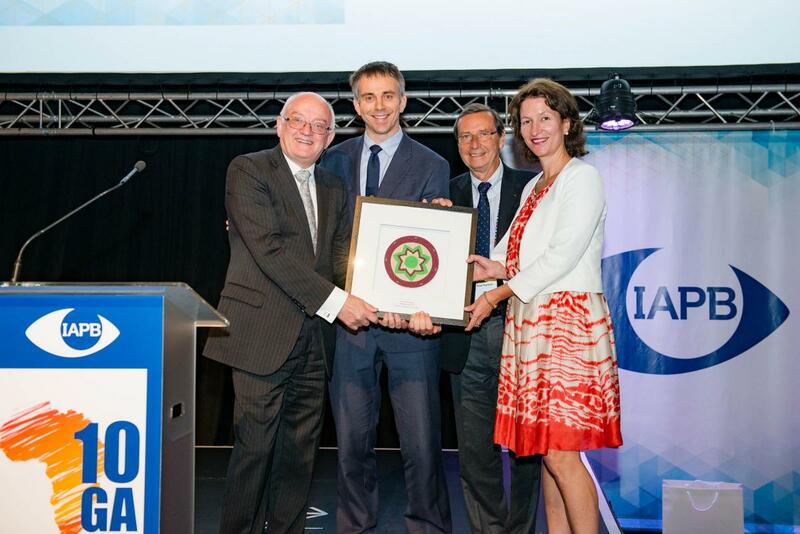 The ‘Global Partnership Award’ was given to the WHO Alliance for the Global Elimination of Trachoma by the year 2020 (GET2020). In 1996, WHO established this international Alliance of parties engaged in work against trachoma, including endemic Member States, non-governmental organizations, donors and academic institutions. The Alliance supports country implementation of the SAFE strategy and the strengthening of national capacity to fight trachoma. 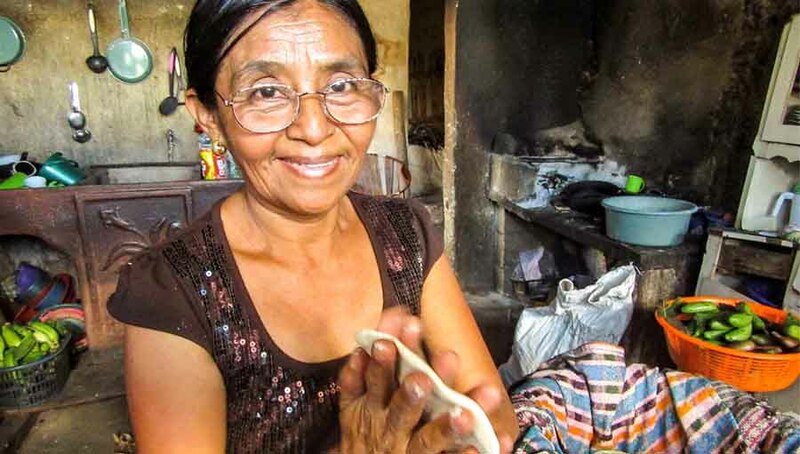 At present, about 1.9 million people are blind or visually impaired, and 3.2 million people need surgery to avoid blindness because of trachoma: numbers that are significantly lower than a decade ago because of the work that the Alliance has been able to do. 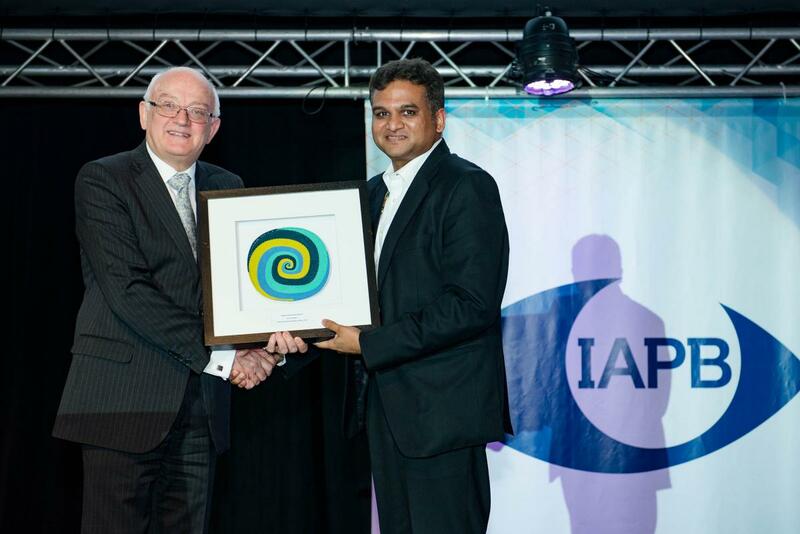 The ‘Collaboration Award’ was given to the International Eye Foundation to honour their many contributions to the advancement of eye health through effective collaborations within the eye care sector. 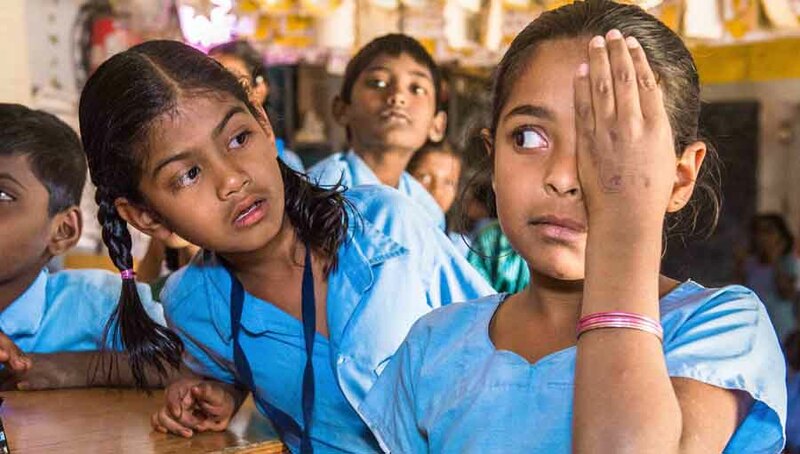 IEF’s mission is eliminate avoidable blindness by increasing affordability and access to quality, comprehensive and sustainable eye care services worldwide. 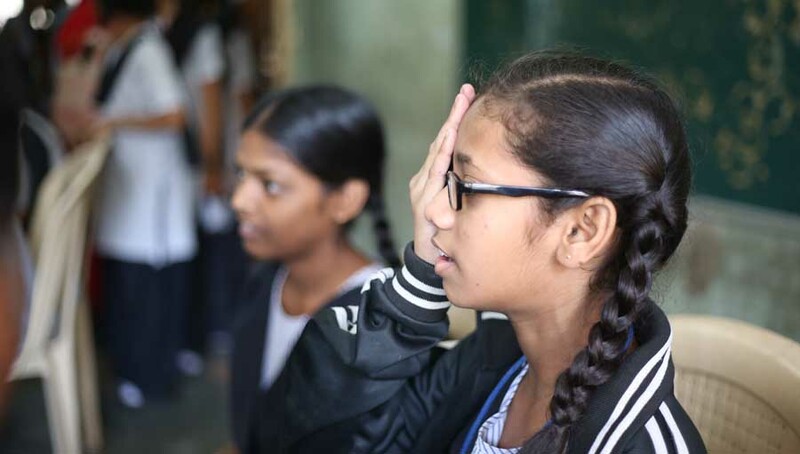 Nearly 285 million people around the world are visually impaired, with 39 million estimated blind and 246 million with other vision issues—but 4 out of 5 are avoidably impaired. Trachoma is the leading infectious cause of blindness. While solutions are known for existing eye conditions, we need to refine models of sustainability and delivery. We also need to prepare for the potential explosion in vision problems caused by diabetes and refractive errors. 10GA’s theme is “Stronger Together”. IAPB exists to foster cross-sectoral collaborations within the eye health sector—and the 10GA is a great example. 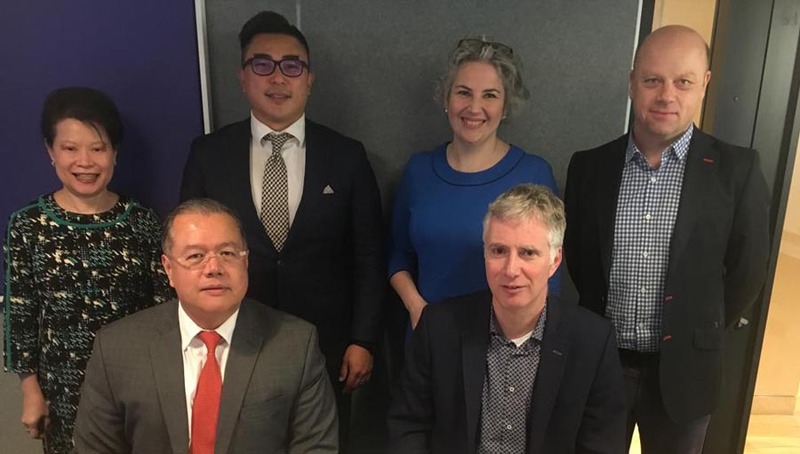 “The WHO Alliance for GET2020 has been working in partnership against trachoma for twenty years, and with a small amount of additional investment and a lot of hard work, is now poised to achieve its objectives. 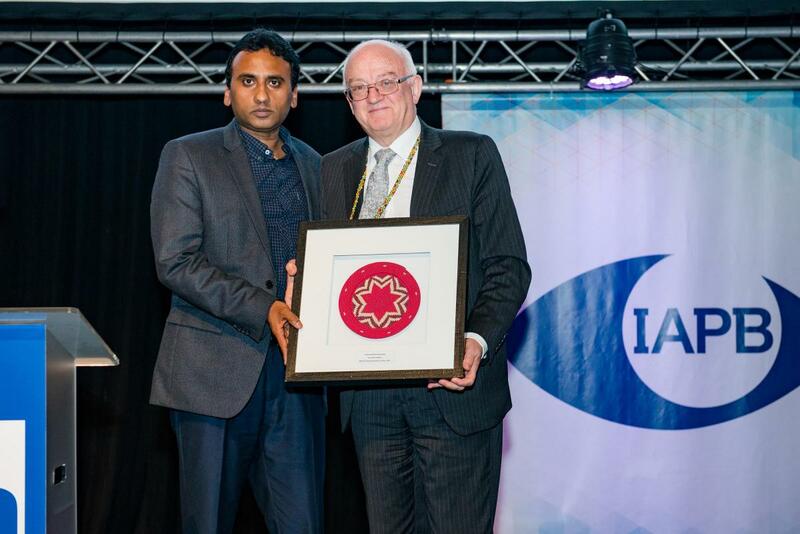 This award is a testament to the incredible collaboration that has been fostered within the Alliance, which has paved the way for saving the sight of millions of people around the world,” said Dr Anthony Solomon, the WHO Medical Officer for Trachoma. See pictures from the Award ceremony.